Samurai Defender: Ninja Warfare is a fast-paced tower-defense game; this Nintendo Switch version includes new levels, boss encounters and large scale battles that weren’t previously possible. Playable on the portable touchscreen or in any configuration with a controller, the staggering amount of content will keep players busy for many hours! Fight your way in high-octane Boss battles against historically famous Commanders and Generals: "Oda Nobunaga", "Shogun:Tokugawa Ieyasu", "Sanada Yukimura", "Date Masamune", "Takeda Shingen" "Akechi Mitsuhide” and others! Expand and empower your units through earned currency, preparing yourself for even tougher challenges! Samurai Defender: Ninja Warfare was released on Switch 322d ago in the US and the UK. 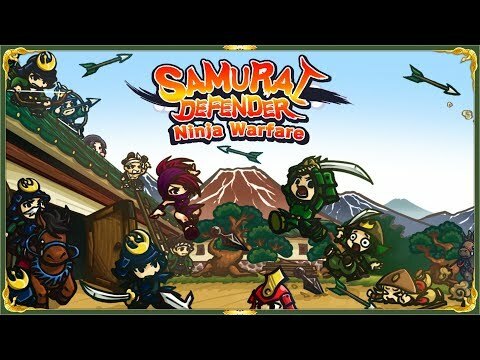 Notify me when Samurai Defender: Ninja Warfare is available.